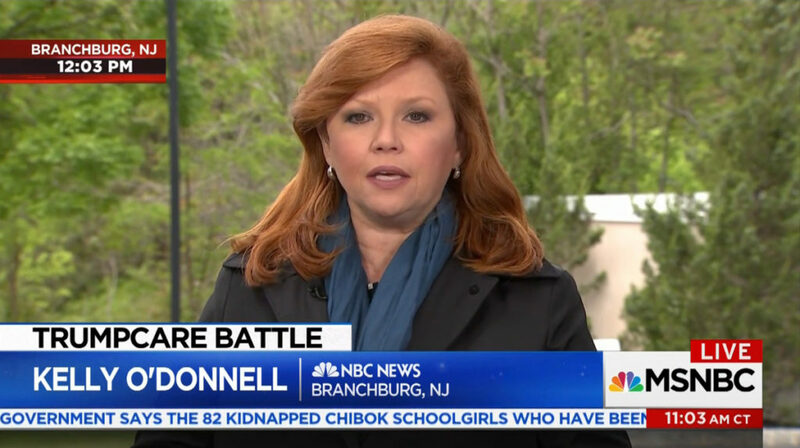 MSNBC debuted a graphics update over the weekend that incorporates more NBC News references as well as elements borrowed from some of its corporate cousins. 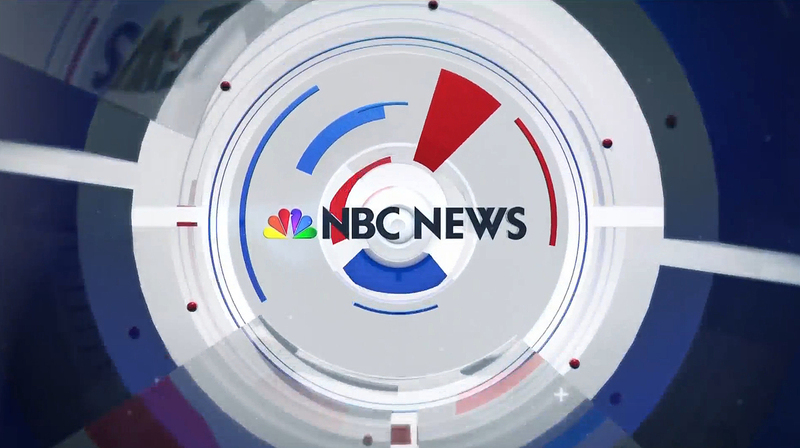 The new look, designed by NBC News’ internal graphics unit (formerly part of NBC Arthouse), combines whites and grays with blues and reds arranged in a ring-like motif, similar to the look used on “The Today Show,” mixed with camera shutter-style layers. 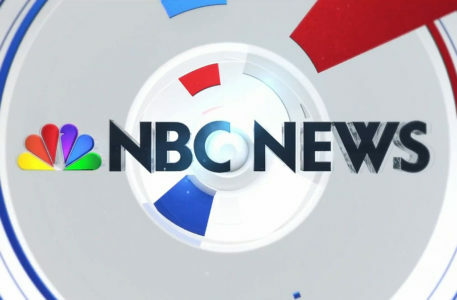 While the MSNBC name and logo remain in the lower corner of the screen, the quick opens used at the start of the “MSNBC Live” blocks feature not only the NBC peacock but the “NBC News” logotype in bold black. 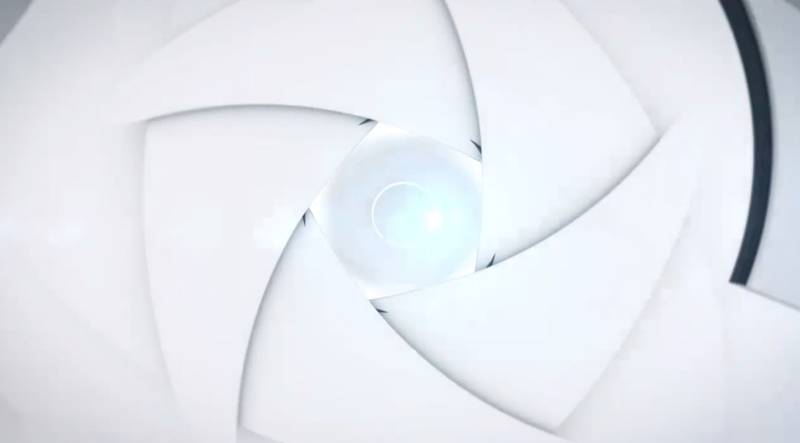 The circular 3D look continues with the fullscreen wipes. It’s worth noting this look is significantly more layered and a bit of a departure from the network’s previous, flatter look. Those graphics did use a blocky “3D hallway” look, but the shapes were mostly rectangular and the graphics lacked the glossiness of the new look. The network also overhauled its insert graphics, including the lower thirds. These graphics now feature a subtle shiny effect with small, animated microblocks that skitter about, an effect found in some “NBC Nightly News” graphics. For name-based lower thirds, the network now puts the person’s name to the left, with two lines stacked to the left. These two lines are typically dedicated to the person’s organizational association, often with a white version of the outlet’s logo, as well as the person’s in the line below in standard type. Other updates include the use of Studio 4E’s large video walls to create a faux control room look with topical graphics outlined with thick black frames and simulated microtext listing studio designations, timestamps and other assorted symbols and type. The network’s ticker was also updated. During another block of “MSNBC Live,” the network originated programming from in front of Studio 3A’s corner LED video wall, feeding a virtual set extension depicting imagery of the third floor newsroom with added monitors and a frosted knee wall. The look also included a large “NBC News: New York” logo in the LED transoms above.